Immaculately maintained home in Deercroft. 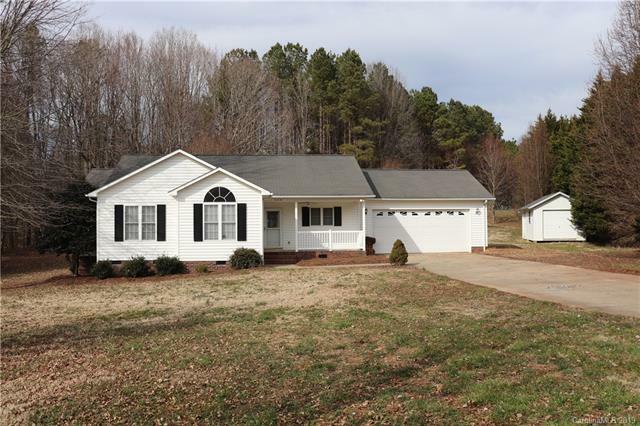 The home is situated on a large .98 acre wooded lot with a stream to the rear. Quiet cul-de-sac location. The home features an open concept main living area that is great for entertaining. The spacious kitchen has ample cabinetry, custom built-ins, recessed lighting, and a breakfast bar. The home has been freshly painted in neutral colors. Newer laminate flooring and crown moulding throughout. The large master suite has an oversized walk-in closet, bathroom with dual vanities and a walk-in shower. The rear of the home offers wooded privacy, a large deck, and a partially fenced in yard. 12x20 wired workshop with 8 foot door. 22x24 two car attached garage has built-in shelving, a bike storage system, and additional storage in floored attic space.